TCN, a leading provider of cloud-based call center technology, enjoys a long history with the automotive industry. Through partnerships and mergers with companies like Global Connect, TCN brings 20+ years of experience in helping automotive dealerships and repair centers grow first-time and repeat sales, enhance customer service, and ensure customer loyalty. Automotive dealerships and repair centers often turn to TCN for its robust communication tool. The cloud-based application allows them to save time and money while mimicking someone five times their size. Specifically, the two organizations use the tool to improve three areas of their businesses: financing, customer service, and general communication. Most customers don’t pay for a new automobile out of pocket. They make a down payment and obtain an automotive loan. As a result, they are required to make monthly payments in order to keep the vehicle. Automotive dealers want customers to pay on time—it helps their cash flow and overall financial stability—so they pursue technologies and tools that make payment easy. Larger dealerships sometimes find the work easier to accomplish because they already own communication tools and collection software. Smaller dealerships, however, sometimes require assistance. TCN comes to their rescue with its cloud-based communication tool. Its call center technology allows automotive dealerships of any size to automate regular payment reminders via a number of channels, including telephone and SMS text messaging. The technology also integrates with other applications, allowing dealership agents and managers to assess the effectiveness of customer relationship management (CRM) tools and debt collection software. Customer service can play a large role in why customers choose to buy and stay with an automotive dealership. If customers enjoy the sales experience, but suffer during the financing process or ongoing support, they might not return when it comes time to trade in their car or truck. However, if they receive a best-in-class customer experience from start to finish, they will stay with an automotive dealership for years to come. 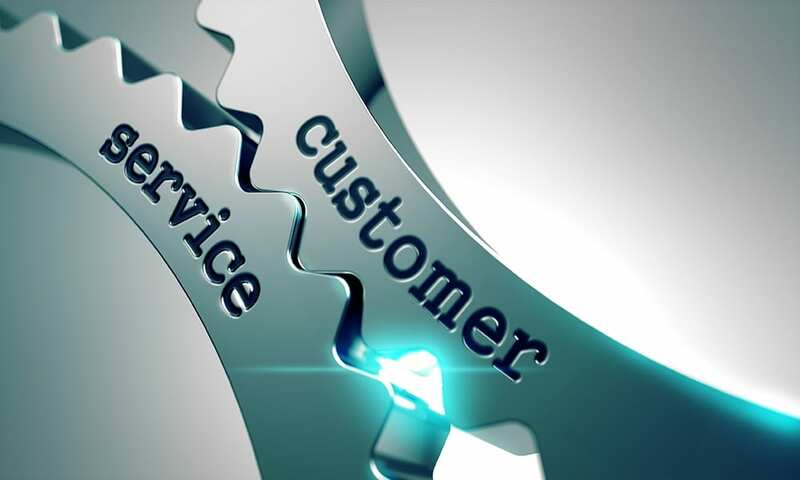 Customer service in the automotive industry spans several areas, but it generally falls into the realm of service reminders. Many customers receive perks for keeping their vehicles in good working order, either because of a warranty or insurance package. Since the reminder to get the oil or A/C checked benefits customers directly, they typically welcome the reminder and respond immediately. TCN helps dealerships and automotive repair centers automate those reminders, which not only cuts down on costs but also leads to improved customer service and results. Customers receive service notifications when they need them, as compared to receiving a coupon in the mail. And, because those notifications occur digitally, dealerships and repair centers can view impact in real time. They see, via TCN’s Agent Gateway, how customers respond to the offer. With that information, they can refine service reminders further, ensuring customers receive the reminders they want when and how they want them. Automotive dealerships and repair centers also express interest in cloud-based tools for general communication needs. For example, a dealership may need to notify customers about a safety recall. The dealership’s agents, which could number anywhere from zero to 10, could face the daunting reality of manually calling each customer or sending out a mailer. Manually calling customers devours time and resources—time and resources that could probably be better spent elsewhere. In addition, it offers no recourse when the agent reaches voicemail or can’t get ahold of the customer. The second scenario holds little assurance, too—customers may not check their mail frequently. Even if they do, they could accidentally throw away the mailer because they think it’s junk mail. TCN again steps in to aid dealerships and repair centers. With its cloud-based communication tool, automotive dealers and service shops can reach customers with timely, pertinent messages. They can also expand upon those communication efforts, sending out blast campaigns for a new automobile or service repair of interest to a specific of group customers. Automotive dealerships and repair centers don’t have to be in the dark when it comes to communication efforts. By using TCN’s cloud-based call center technology, they can improve their communication, thereby securing sales and customer loyalty. If you would like to learn more about what TCN’s communication tool can do for your dealership or repair center, request a demo today. We’d be glad to walk you through the tool and talk about ways to enhance your existing communication with customers.